RPMC Lasers Inc, the leading laser distributor in North America, will be showcasing our lasers and laser diodes specifically designed for military applications including LIDAR, laser designation, ranging finding, gas sensing, and our high-efficiency pump sources. We have over 1500 different laser diodes and solid-state lasers from technology leading manufacturers. Our goal is to provide high-quality technical advice with in-depth knowledge of the products we offer at an attractive value proposition, the best laser at a fair price. RPMC lasers offers a wide range of Picosecond and Nanosecond lasers, from passively q-switched microchip lasers to single frequency fiber laser, that are ideal for LIDAR applications. LIDAR, which is an acronym for light detection and ranging, is the optical analog to traditional radar (radio detection and ranging). Because optical frequencies are much larger than their radio wave counterparts, LIDAR allows for much higher bandwidth signals and therefore much higher resolution detection. Just as radar is a highly diverse field using a variety of radio wave sources, LIDAR lasers also come in a vast range as well. The primary driver between which type of LIDAR laser you will need for your application is whether or not you are measuring moving targets or not. For stationary targets, where distance is the only thing being measured, short pulsed LIDAR lasers are used to measure the roundtrip time-of-flight of each pulse and therefore calculate the distance to the target. But, if a target is moving and you need to measure its speed, single frequency LIDAR lasers are required in order to accurately measure the Doppler shift and calculate the objects speed. Laser designators have been commonly deployed by the military to allow ground forces and unmanned aerial vehicles to “paint a target” by illuminating them with a pulse-coded invisible laser, which can then be detected and locked onto by the weapon’s targeting system. 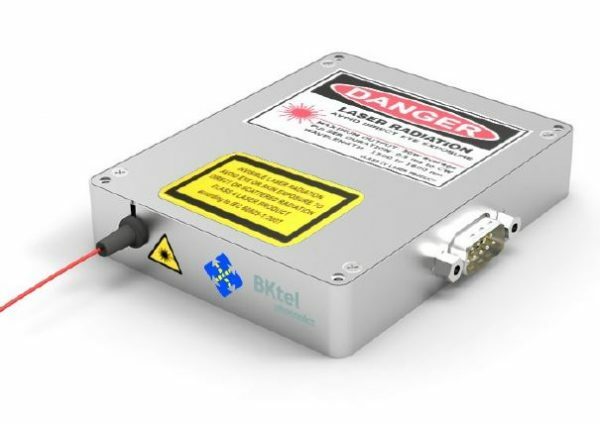 Laser designation lasers require relatively high pulse energy, a programmable pulse repetition rate, low beam divergence, and high pointing accuracy. 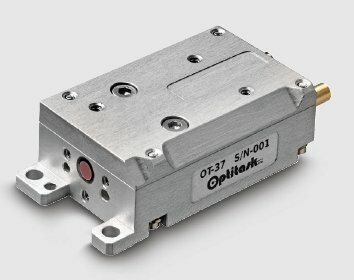 Laser designation lasers must be deployable in a wide variety of inhospitable environments; therefore, in addition to the optical considerations, it is required that they are compact, rugged, and have relatively low power consumption. Areté Associates offers one of the premier producers of Mil-Spec lasers for laser designators. In addition to the typical 1064 nm variant, at RPMC we also offer the second and third harmonics, at 532 nm and 355 nm respectively for visible applications. AIRTRAC: Full NATO STANAG 3733 compatible, in a very compact, light weight, and low power configuration. The laser provides a low divergence and >70mJ per pulse. The athermal design provides high laser pulse energy and low beam divergence in a full system weighing less than 1.5lbs. Laser range finding is a term used to describe the process of determining the distance to a fixed object. This process is essentially a simplified version of laser radar, and therefore has many of the same requirements as lidar lasers. Since we are only considering stationary targets and distance is the only thing being measured, range finding lasers are always pulsed to measure the roundtrip time-of-flight and calculate the distance to the target. An additional constraint on laser range finding is that not all LIDAR systems need to be very careful about eye safety since they are typically operating over shorter distances and in more populated areas. As a result, most range finding lasers operate around 1.5 microns in wavelength, which is considered to be eye safe because of the extremely high-water absorption. RPMC offers multiple range finding lasers including both passively and actively q-switched Er: Glass lasers. A large number of the molecules of interest for gas sensing have strong absorption in the near infrared region for example; O2 at 760 nm, NH2 at 1512 nm, H2O at 1392 nm & 1877 nm, CH4 at 1654 nm, and CO2 at 2004 nm. 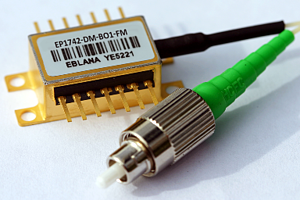 As a result, Eblana Photonics' proprietary Discrete Mode (DM) single frequency laser diode technology is an ideal solution for this application, available in wavelengths from 760 nm up to 2150 nm. RPMC Laser is the exclusive distributor for Eblana Photonics. Eblana's DM laser technology delivers distributed feedback (DFB) laser like performance at a lower price point geared toward higher volume applications. Their strained quantum well InP design provides stable, high performance, single wavelength operation and a wide current tuning range even at sub-mW laser powers. For more information on any of these products, Please contact RPMC.